Browse for wiring harnesses by vehicle make and model. Motor vehicle rated power cable / hookup wire. 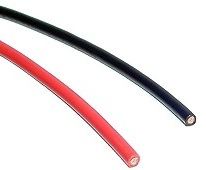 This wire is highly flexible making it perfect for wiring and repair of electric scooters, electric bikes, and electric go karts. Pure multi-strand copper core with a tough outer PVC insulation jacket that has a 221 degree Fahrenheit heat resistance rating. 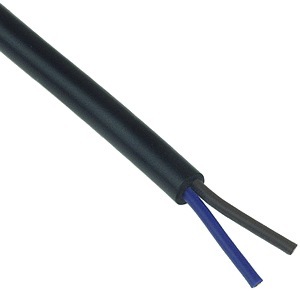 Black cable with two 22 gauge (22 AWG) individually insulated copper wires. Commonly used on electric scooters, bikes, and go karts for throttles, brake switches, turn signals, head and tail lights, plus other controls and accessories. Wire colors are blue and brown. Sold by the foot. 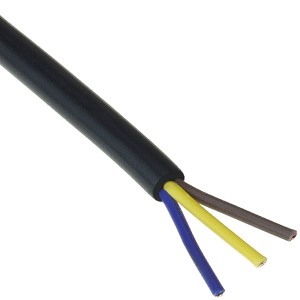 Black cable with three 22 gauge (22 AWG) individually insulated copper wires. Commonly used on electric scooters, bikes, and go karts for throttles, brake switches, turn signals, head and tail lights, plus other controls and accessories. Wire colors are blue, yellow, and brown. Sold by the foot. 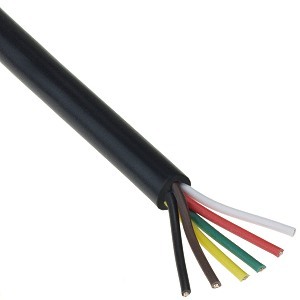 Black cable with six 22 gauge (22 AWG) individually insulated copper wires. Commonly used on electric scooters, bikes, and go karts for throttles, brake switches, turn signals, head and tail lights, plus other controls and accessories. Wire colors are black, brown, yellow, green, red, and white. Sold by the foot. 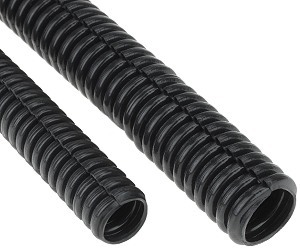 3/8" interior diameter black polyethylene wire loom. Provides protection from abrasion and groups wires and cables together for a professionally installed look. This loom is split down the side so it can be installed over previously installed wires and brake cables if need be. The split wraps around itself to fully protect the wires and cables that are inside of the loom. Sold by the foot. 1/2" interior diameter black polyethylene wire loom. Provides protection from abrasion and groups wires and cables together for a professionally installed look. This loom is split down the side so it can be installed over previously installed wires and brake cables if need be. The split wraps around itself to fully protect the wires and cables that are inside of the loom. Sold by the foot. 22 Gauge: Throttles, power switches, brake switches, head and tail light switches and bulbs, turn signal switches and bulbs, horn switches and horns. 20 Gauge: Battery charger ports. 16 Gauge: Battery packs and motors with 20 Amp and under fuses/circuit breakers. 14 Gauge: Battery packs and motors with 30 Amp and under fuses/circuit breakers. 12 Gauge: Battery packs and motors with 40 Amp and under fuses/circuit breakers. 10 Gauge: Battery packs and motors with 50 Amp and under fuses/circuit breakers.